Looking forward to some good, juicy apples this summer! 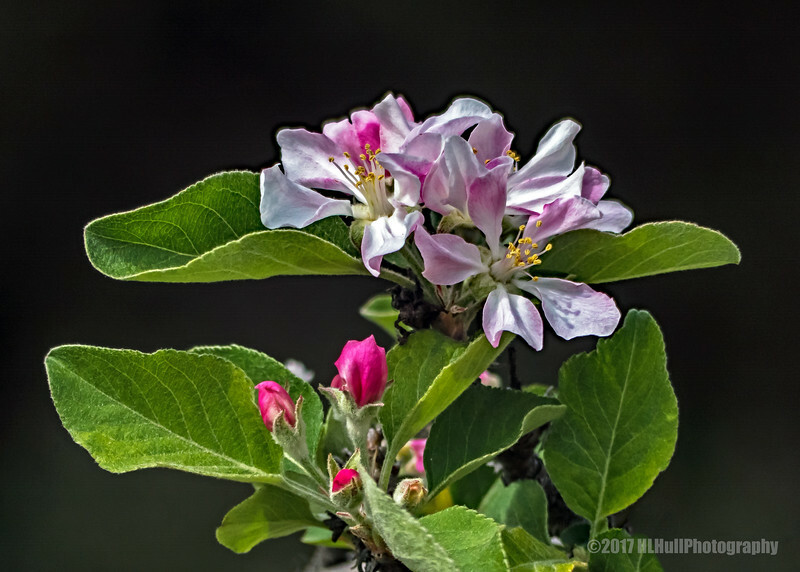 Update: I had mistakenly posted these as geranium blossoms, they are apple blossoms. Thanks to arctangent, https://arctangent.smugmug.com/ for catching my error! Glad to see these as apple blossoms. I wouldn't have known, for sure, but I knew I'd never seen geraniums that looked like this. They are very pretty, and nicely captured. Hi Howard, this is Beautiful.